In this Ortlieb Back Roller Classic review, I take a look at the most popular touring panniers on the market. Long distance cycling enthusiasts including myself swear by them. Here's why. When it comes to bicycle touring panniers, the Ortlieb Back Roller Classic panniers range is the first and only choice for many cyclists. This isn't because there are no other makes of bicycle panniers available, it's simply because they are the best. As with all my bicycle touring tips, I've arrived at my conclusions by using these bike touring panniers myself over extended periods of time. In my opinion, there are several factors that help make these bicycle panniers stand out from the crowd. In short, these are the simplicity of design, quality of materials, quality of construction, and value for money. Get these things right in any product, and you are on to a winner, which Ortlieb clearly are here. They have also avoided a fundamental error which many companies make, which is to fix something that isn't broken. By this, I mean that the design works the way it is. There is no need to keep changing it every year in the hope of getting more sales. So, there are no massive differences in design from one year to the next. This is handy for me, in that this review will still be relevant in a few years time. It's probably bad for Ortlieb though, in that the Ortlieb Back Roller Classic panniers are well made, repeat custom is not exactly frequent. These Ortleib bicycle panniers are designed to be tough and endure the rigours of around the world cycling. They last for years! I think for me, one of the things that elevates the Ortlieb Back Roller Classic panniers above the rest, is the mounting system. Put these panniers on your rack properly, and they will NOT fall off! Other manufacturers who have tried to copy the system (and will remain nameless for now), have made some abysmal attempts to emulate Ortlieb and failed. This is probably due to the QL1 system which Ortlieb use, and I believe have patented. (There are also QL2 and even Ql3 mounting systems I understand). From the photo above, you can make out the handle and the mounting points which are attached to the panniers. By pulling the handle up, the mounts open, and they can then be placed onto the rack. The mounts close again when the handle is released. On the back of the panniers, is another fixing point which slides behind the racks metal supports. In fact, writing about how to attach these bicycle panniers to the racks is a great deal harder than doing it. It's the easiest thing in the world. One note – make tightening the bolts on the back of the panniers with an allen key a reasonably regular thing. They do become loose over time with all the bumping around which goes part and parcel with bicycle touring! Of course, the big selling point of the Ortlieb Back Roller Classic bicycle panniers, is that they are incredibly waterproof. I've never actually thrown one in a river, but I have certainly cycled through torrential rain for hours on end to find everything inside nice and dry. I've even hosed my bike complete with panniers down in a car wash, and they have let no water in! Sometimes, you buy something which says it's waterproof, only to be let down later. Believe me, this does what it says on the packet! This is due to a combination of the material used, and the simplicity of the design. I'm not going to get into the technical details of the materials, but it is some form of PVC coated polyester. As the name suggests, these bags have a roll top closure, ensuring that water can not enter. Again, this is simple, but effective. A nice touch, is that the securing strap which helps keep the roll top closed also doubles as a carrying strap. 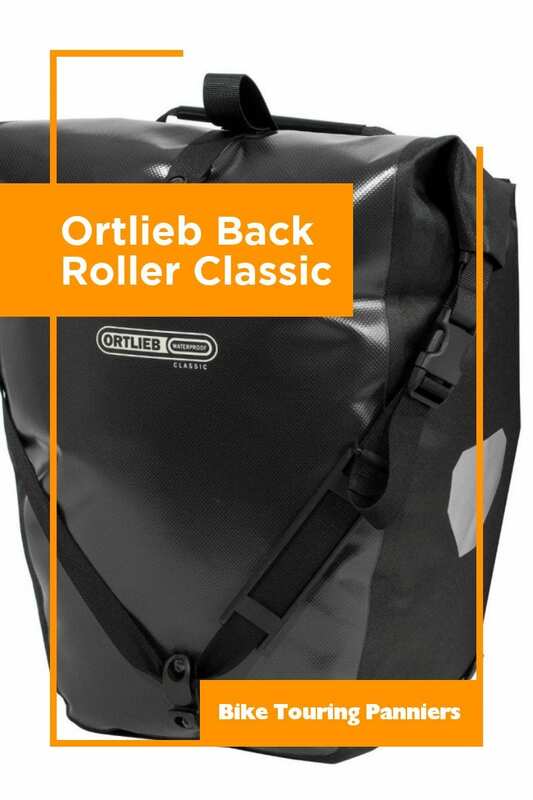 The Ortlieb Back Roller Classic panniers come as a pair, and have a carrying capacity of 40L. They have a small inner zipped mesh pocket, attached to a larger inner pocket, which in my opinion is a bit useless. That said, I always find something to put in them sooner or later when on tour! All versions of these panniers have reflective strips, which means they will show up well in car headlights in the dark. They also come with extra inserts for the mounting system, because not all racks have the same diameter metal struts. That just leaves us with the issue of price. In the UK, they seem to average out at about £100. In preparation for my next cycling trip though, I have been keeping a spreadsheet of all the things I need to buy, and have been updating it every month. Retailers seem to reduce the prices every now and again, and I picked up a brand new pair for £85, which is a bit of a bargain! 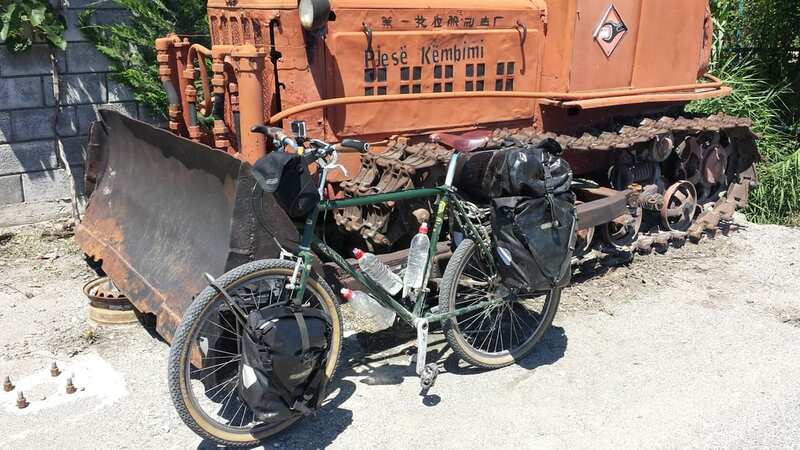 Should I Use Panniers or a Trailer for Bicycle Touring? 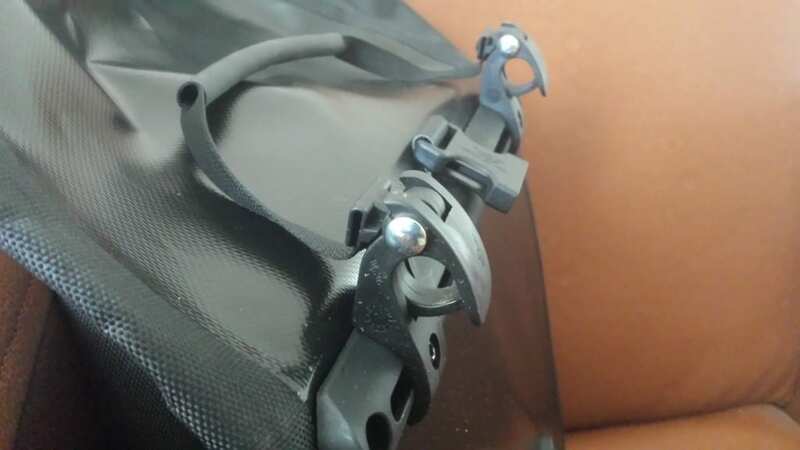 The difference between QL1 and 2 are QL2 have tool-less adjusters, you don’t need an Allen key, also the bottom hook has an extra track so you can change the mounting for low riders. QL2 also can be locked to the rack with an optional steel security rope. QL3 is more for briefcases and office bags where the mounts stay on the rack instead of the bag so they look less like bike bags off the bike. 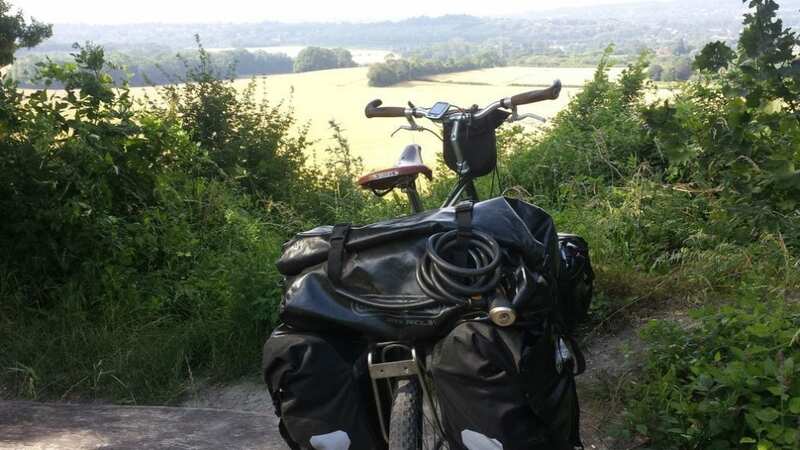 Got a set of shop soiled Back Roller Plus panniers half price from Evans cycles as the adapter for the QL2 hooks were missing, replacement adapters only cost £4 but they don’t seem to be necessary with Tubus racks. If you shop at Tesco (UK) they have an offer where you can exchange your Clubcard vouchers for Evans vouchers doubling the value. Ended up getting the panniers and a front Tubus Tara rack for free effectively as I just used my Tesco vouchers to pay for them. Evans often have shop soiled/NQP Ortlieb panniers on clearance. 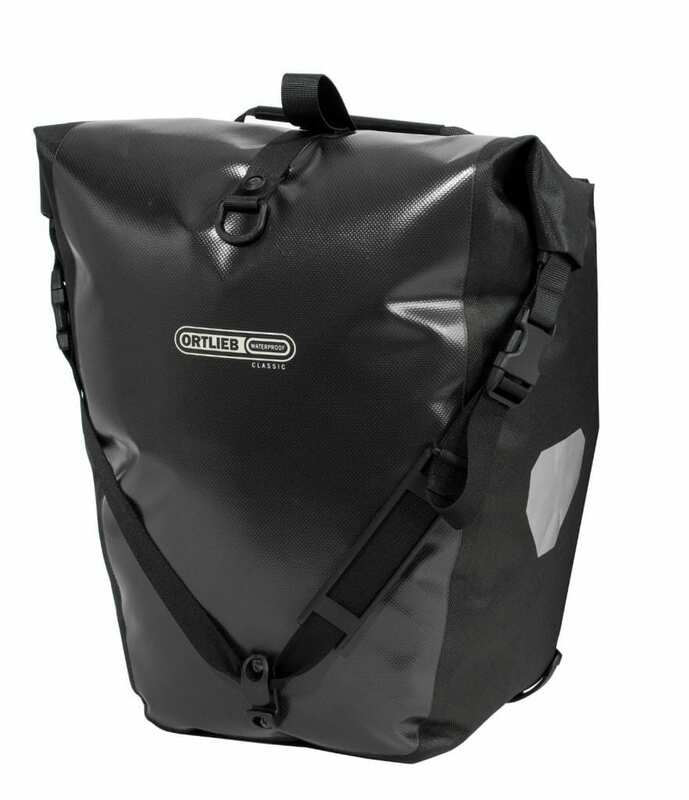 Got a set of Edinburgh Cycle Coop water proof panniers, they are like a cross between an Ortlieb roller/packer with Rixen Kaul fittings which work well. Broke the locking part of the clips on one as I didn’t remove the adapters when using with a Tubus logo rack, but they held up for moths until I got replacement hooks. Going to use them as front panniers for my next camping trip. i went for the more traditional Carradice Super C panniers. They breathe to an extent, unlike the Ortlieb, but the faff to get them off made me recommend Ortliebs to my other half. Easy on an off is really important when you are struggling with a loaded tourer, and the Ortliebs are so much easier. Totally agreed. The main selling point of the Ortlieb is the great fixing system. I sometimes wish they were more breathable, especially when cycling in hot climates, but am extremely thankful of their 100% waterproofness when it comes to cycling in the rain! Want to purchase a rear classic pannier for my son and his chosen color is yellow to go with other Ortlieb bags he has. Off touring in New Zealand as soon as his custom built trike is completed. We live in Tauranga. I would say that Amazon is probably your best bet in New Zealand. Wishing him well on the tour! This looks like a great product Dave. We’ve toyed with the idea of touring by bicycle but neither of us have any experience of cycling on the open road. We did buy mountain bikes for our stay here in NZ and have loved getting out on the many trails here, so you never know!